Email Open Rate is a calculated metric that measures what percentage of your subscribers are opening your emails. Email marketers should be very interested in tracking the open rates for their subscribers over time for each one of their campaigns. Open Rate - This metric can be improved by how personalized and catchy your subject lines are. 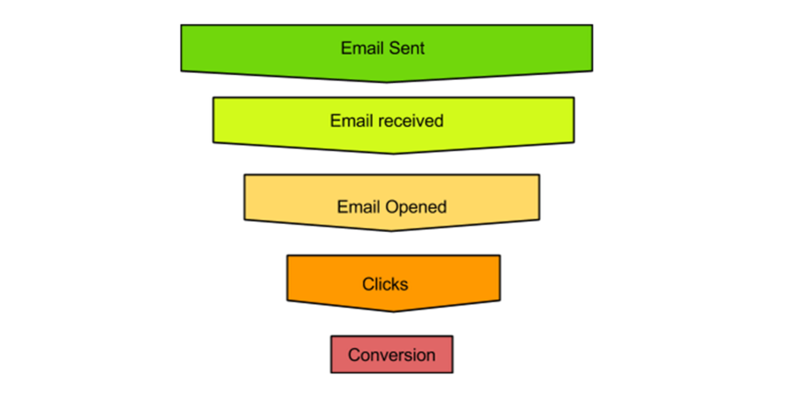 Your subscribers will be most engaged in the very beginning of their email lifecycle. So your welcome campaigns or introduction emails will likely have the highest open rates. This is normal. It is the honeymoon season for your subscribers with your product. However, overtime your subscribers may stop paying attention to you as much or, worse yet, stop opening overall. This is going to have an impact on your overall open rates. If you only track the general open rate then you may be missing the bigger picture of your subscriber list. For example, let's say you have a 30% open rate. This is a standard average for most email marketers. However, some of your subscribers are more than likely opening several times which is falsely inflating your numbers. Open rate by itself can be misleading because of this. By tracking the unique opens you may find that only 20% of your subscribers are opening. For the subscribers who have fallen out of love with your email program or become distracted by other email programs I have good news. It is not too late to earn those subscribers back! Many email marketers will put these subscribers on a do-not-disturb email list and quit communicating with them. A better practice, however, would be to place them on a new drip campaign that is designed to strategically re-engage them or better yet find out what it is they are really looking for. Collecting feedback from your subscribers is a great method to inform what your subscribers really want to receive from you. Browse the top email marketing KPIs and metrics every marketer should be tracking in their performance reports.